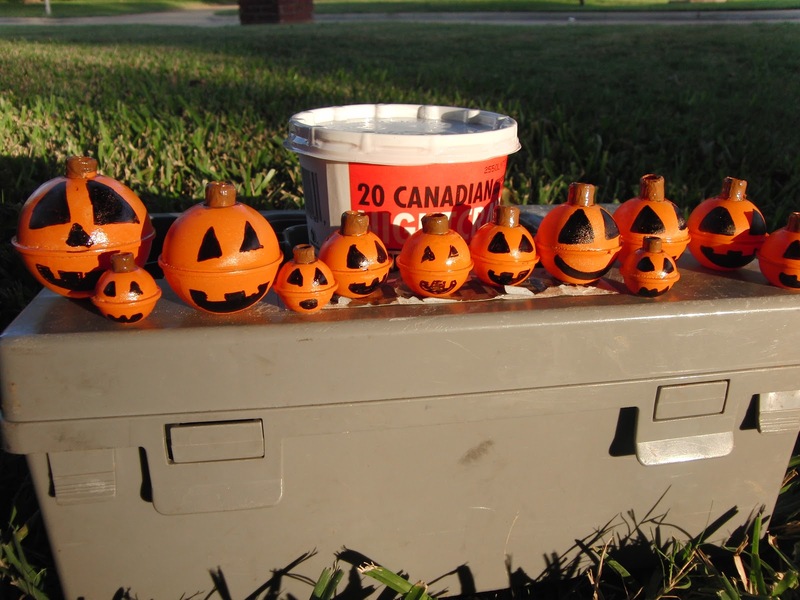 Here’s a great way to add some fun to your October family fishing trips, or just a cute craft for at home! 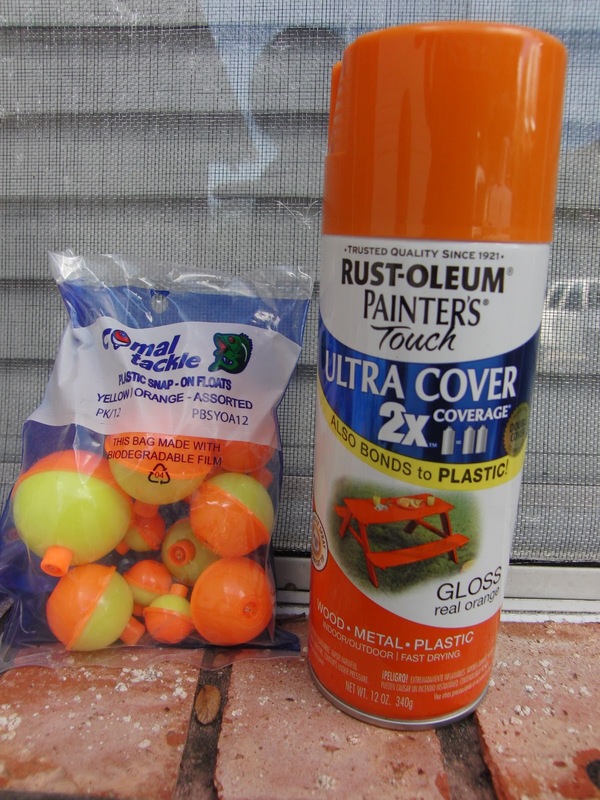 We made these adorable little pumpkin bobbers using a can of Rustoleum’s Painter’s Touch, which works well on plastic! Using latex gloves to keep our fingers clean, we painted each of them. It only tooks a few minutes to dry, then we used brown paint on the “stems” and a fine point black paint pen to transform them from pumpkin to jack-o-lanterns! It took about an hour to make them, and we had time to run out to our community pond for a little fishing before dinner!